Join us as we celebrate our 25th anniversary. On March 10th, we will start with one unified service for both campuses at our Royal Palm campus location at 10:30am. 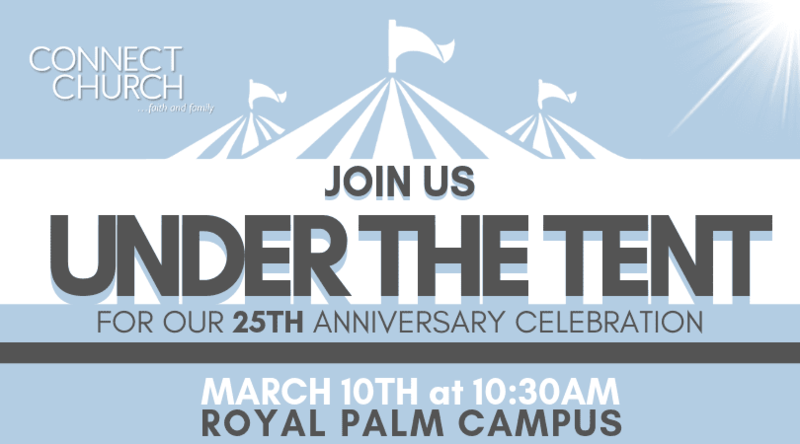 Our service will be “under the tent” and will be a moment you will not want to miss. Following the service, we will be having a picnic with bounce houses, games, a rock wall, segways, fishing tournament, horseshoes, photo history display, cake, fellowship, fun and so much more.